In every nook and corner of the digitized world people are talking about Internet of Things ( IoT ). This technological innovation is believed to be the future. Anything and everything which can be connected to each other will be connected. Internet as we know it today will play a crucial role in developing a network of things communicating with each other. The challenging thing is the security issue which arises with such interconnected IoT devices. We are already of the security threats posed by connecting computers across the globe through the Web, identical security measures will be needed to be applied to ensure that the Internet of Things doesn’t turn out to be some security disaster. We feel really safe when our computers and phones are secured with voice or facial recognition measures. Biometrics by definition is metrics related to human attributes. Biologically every human being is distinct from another and this is what is taken into effect while designing biometric security protocols. In an environment where things are connected to each other through a network making it secure through your unique biological attributes seems to be the ultimate security which can be applied to such a network. In the world of IoT our traditional methods of securing things with a password won’t be very effective. As a matter of fact if we move beyond a layman the passwords are not at all effective in the current scenario either. They can easily be hacked and one of the most vulnerable ways to secure anything for that matter. Although multilayered security protocols are already into effect and most of our online data is secured that way. But the irony is that data is secured by using other forms of data. What do you think your passwords and security questions are stored anyway? There is some computer somewhere which is storing such data to be accessed while you try to log in to any account. This sheer fact makes it prone to cyber thefts risking everything you have your medical records, personal information, banking data so forth and so more. That is the sole reason when through Internet of Things we have our refrigerator and our TV connected to the internet we wouldn’t want anyone to peek into our kitchen and bedrooms would we? Internet of Things, as path-breaking as it sounds as a concept it will give rise to several security concerns all across the globe. Within the technological boundaries we currently live in biometrics are the only option at our disposal. Unique human attributes of an individual is the only way to ensure authorized access to things. A smart device getting activated only through your face or voice sounds safe doesn’t it? We know that finger prints are unique to us and we will feel a lot safer amid a lot of devices connected through IoT if we know that those devices can only be accessed through your palm. 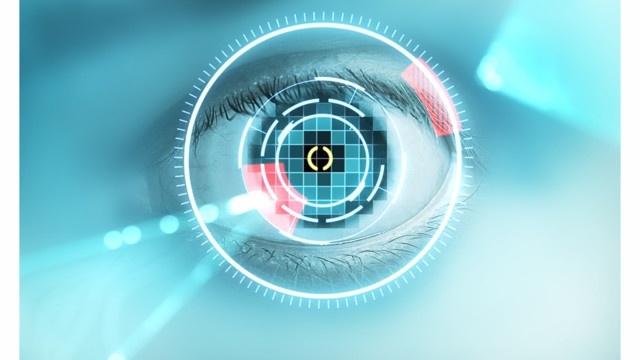 Like any other innovation even biometrics are initially met with speculation and a lot of people are still skeptical about trusting this technology to safeguard their data. But the last time we checked every invention had to go through this phase isn’t? It is just the part of evolution and biometrics definitely will lead the way in near future.